Note: At this time WP Fusion’s Media Tools addon only works properly when using the Classic Editor. We will be adding Gutenberg support shortly. 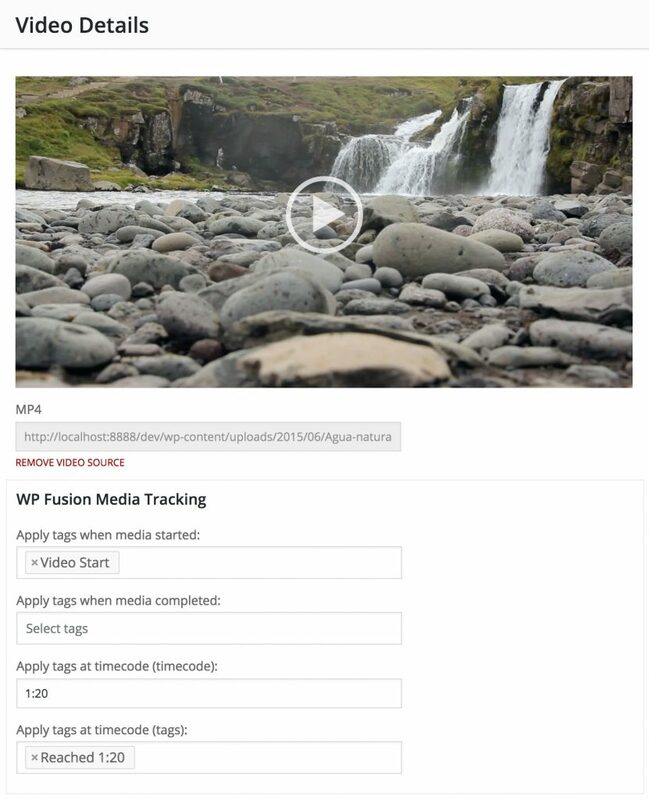 To set up tracking for media content on your site, first click “Add Media” in the WordPress post editor and upload the audio or video file to your site. 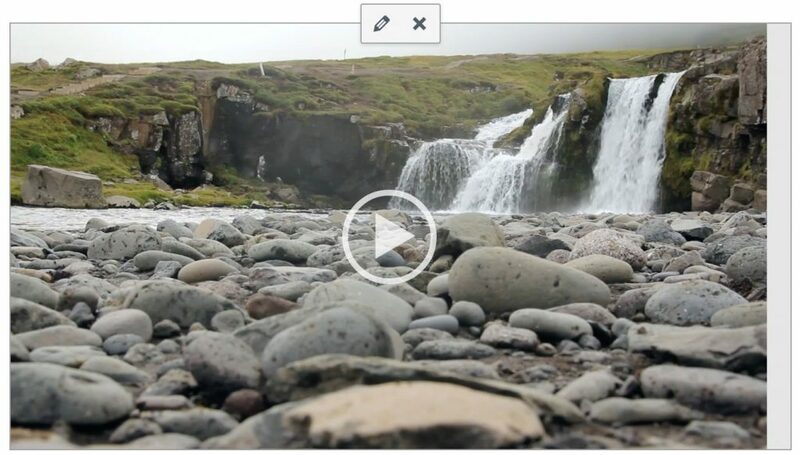 After the upload is finished, click “Insert Into Post” to add the player to your post. You can also add embedded media by going to the Insert from URL tab and including a link to a video hosted elsewhere. After the media is inserted, you’ll see a preview in the post editor. Hover over this and click the pencil icon to open up the media details window. Any of these fields can be left blank to disable that specific trigger. Multiple timecodes can be added in the format wpf_timecode_2="mm:ss" wpf_tags_timecode_2="123,456" where the tags for the second property are a comma separated list of tag IDs to be applied (Infusionsoft and Ontraport) or tag names for other CRMs.